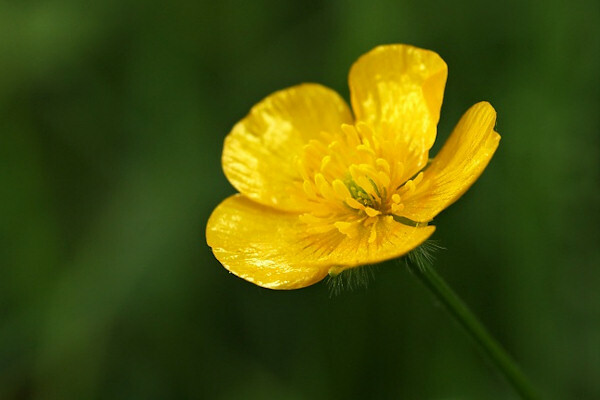 The buttercup is a common weed in Britain which flourishes in well-drained soil. It is normally avoided by cattle when grazing because it can cause problems with the digestive system. However, it is harmless when eaten dried. They grow in their millions in the meadows around here in June before the hay is cut. 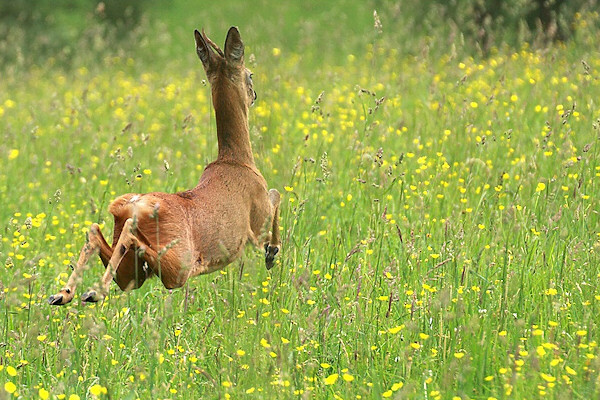 The Roe Deer seem to love the buttercup fields and are often seen browsing among the flowers, just like this guy who was a bit camera shy.